UTT (Understanding the Threat) is honored to announce the addition of Chris Gaubatz to the UTT team. 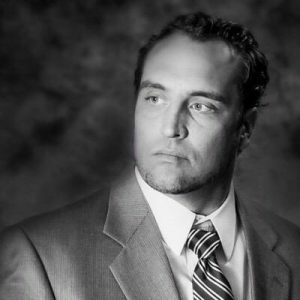 As the son of a career Air Force OSI Special Agent, Chris Gaubatz grew up in England, Korea, California, and Utah, and today calls southwest Virginia home. Chris worked for several Fortune 500 companies conducting fraud investigations and asset protection, as well as insurance sales. While working at the CAIR MD/VA office, Chris uncovered a fraud scheme being perpetrated by CAIR’s “immigration attorney” who was defrauding Muslims in the community and lying about handling their immigration proceedings. In fact, CAIR’s “immigration attorney” was not even a licensed attorney. 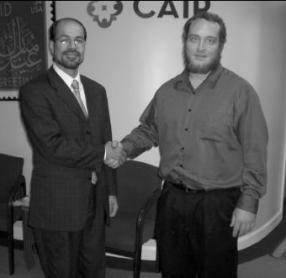 When that office was shut down by CAIR in an effort to conceal this criminal activity, Chris was invited by Hamas/CAIR leaders to work at their headquarters office in Washington, D.C.
During his time there, Chris obtained over 12,000 pages of documents from Hamas/CAIR and over 300 hours of covert audio/video recordings. The entire story is featured in the book Muslim Mafia authored by investigative journalist Paul Sperry and Dave Gaubatz (Chris’ Father). This book is now available via the UTT Online Store. Looks like an excellent addition; sounds like Chris can speak with *great* authority on what’s up inside the umma. To the casual observer, i.e, the great numbers of people who ought to be made aware of what’s going on, this is largely a battle of “he said,” “yeah, but the other guy said…” and of course such confusion works to the Jihadis’ advantage. Being able to point to an insider who can say, “yes, indeed, they are lying” can’t hurt! Hello, JG and CG, A few years back I read much of the Muslim Mafia, it really caught my interest and is an excellent book. 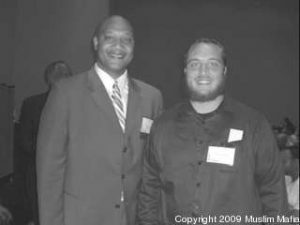 The experience inside a mosque and the relationships you developed with CAIR, was ingenious. I have often wondered if you had any conflicting emotions and how were you able to maintain the mission for information. Prior comment, was expressed that you were a brave man, I agree but that it would be even more dangerous today. Today the situation in this country, for the last almost eight years has seen such an expansion of the message for jihad and denial of roots and source that it is really chilling. Curious if either viewed the PBS frontline video on history of isis.? A surprise to see from PBS ( I don’t normally watch) they usually have promoted Islamic doctrine as “hate speech” but still slanted a little away about the State dept….although they never mentioned the MB and their influence, maybe it was a little too close for comfort for PBS. Noticed no mention in documentary of Saudi Arabia and not much about Iran…interesting….thank you both for your work, still the best, I guess they had limits. This guy is all business, as well as the entire Understanding The Threat Team. If only half our intelligence agencies and military were as knowledgeable and assertive as these cats, Mohammedism and it’s adherents would be all done, except the cryin. Isn’t amazing that in all the guilt Western Europe still feels in terms of the Holocaust and allowing Hitler to rise to power, their commitment to multiculturalism and diversity is blinding them to another fascist ideology, that I would describe as hyper-Nazis. Another way to put it, in sports terms the Nazis couldn’t hold Islam’s jock when it comes to anti-Semitism, bigotry, and murder. Islam forgot more about being Nazis than Nazis ever knew.